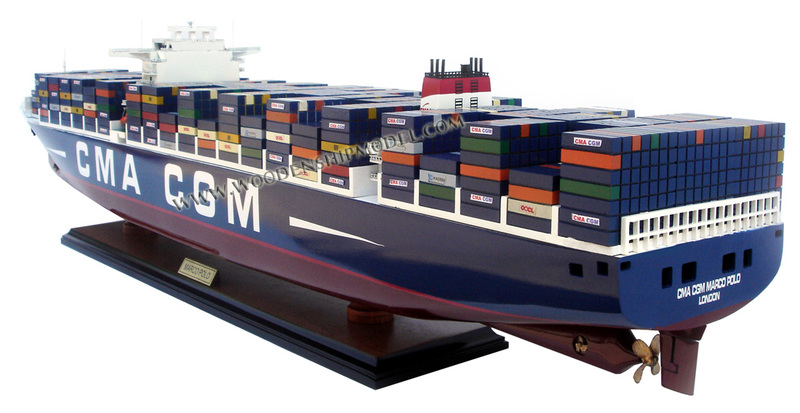 Please contact us at sales@gianhien.com for any further information. 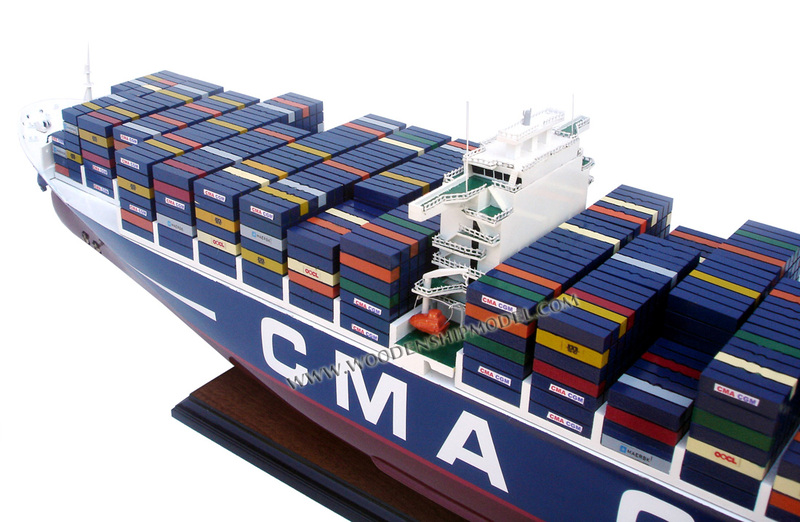 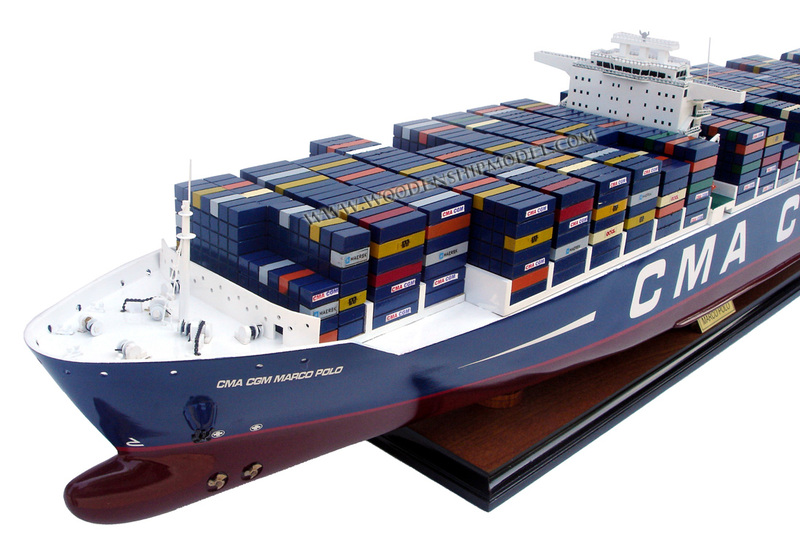 We can custom make your company name, logo on the ship and on the container too. 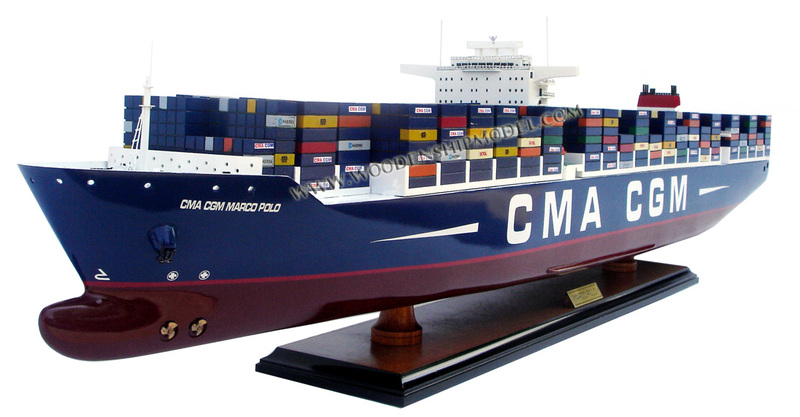 CMA CGM Marco Polo is a UK-registered container ship in the Explorer class owned by the CMA CGM group. 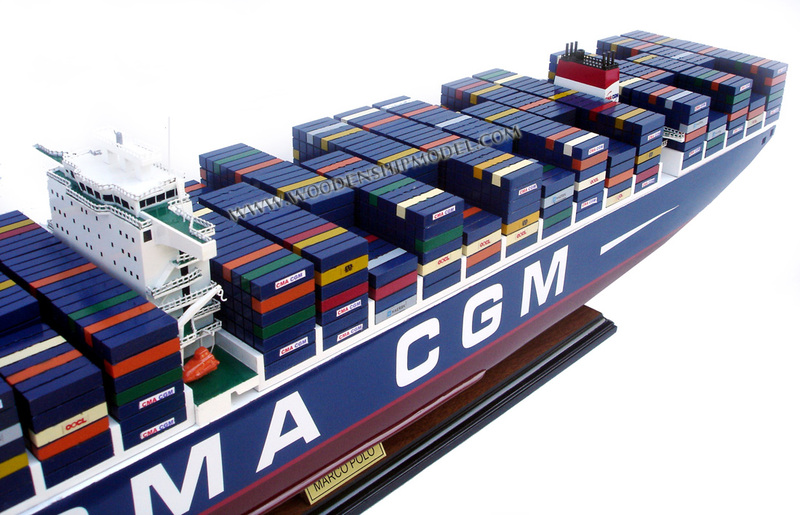 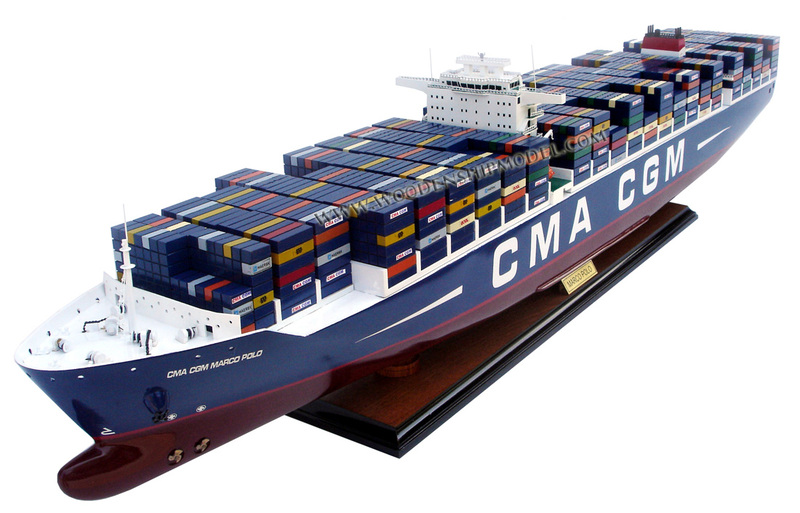 On 6 November 2012, it became the largest containership in the world measured by capacity (16,020 TEU), but was surpassed on 24 February 2013 by the cma cgm marco polo Triple E class (18,270 TEU). 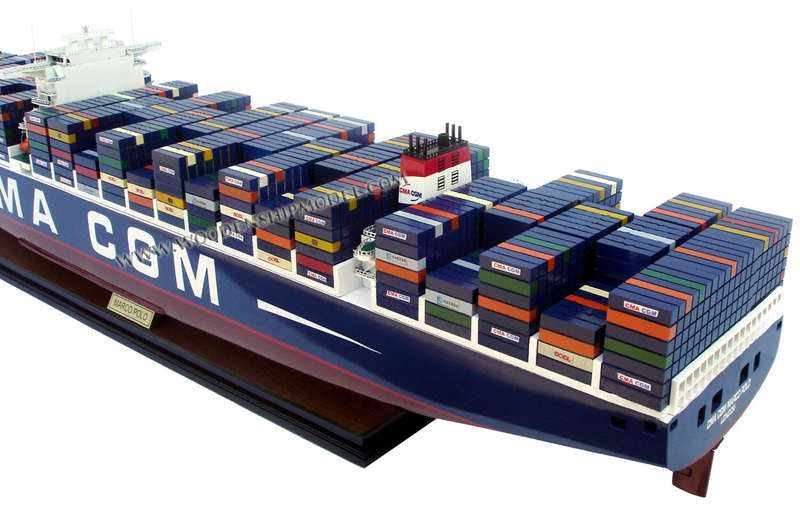 The previous largest was Emma Mærsk and her seven sisters of the Mærsk E-class (15,500 TEU). 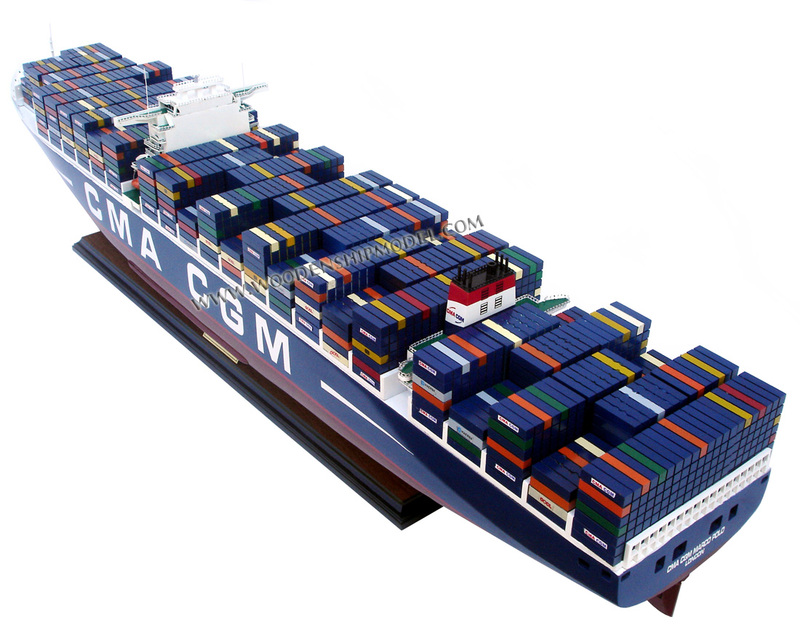 The capacity is 10,000 TEU if all are fully loaded 14 ton containers, compared to 11,000 for Emma Mærsk and even more for the Triple E Class.